Buy or make your own Organic soil…. Some notes and recipes. It bears repeating: Organic producers should always consult their certification agents before purchasing brand name products, especially those with unfamiliar ingredients. Web site states that all potting media meets criteria for organic certification. Long-time supplier of products to organic farmers — organic fertilizers, non-organic potting mixes. Compost-based organic fertilizer products (two kinds). Produces OMRI-Listed peat moss products: Jeff’s Natural Solution, Ferti-Lome Pure Canadian, Lambert Canadian, and Canadian Gold. Organic Mechanics Soil Company, LLC. Manufacturer of organic, peat-free, compost-based potting soil, sold to independent garden centers, natural food stores, nurseries, and landscapers. Products include a Premium Blend (OMRI-Listed), Container Blend, Planting Mix and Germination Blend. Long-time supplier to the organic community. Carries McEnroe Organic Farm growing mixes. Catalog claims these meet NOP requirements for organic production. Also carries asbestos-free vermiculite and perlite. Sun Gro manufactures about 20 different OMRI-Listed transplant media products. Most are marketed under the Sunshine, Sunny Grower, Alberta Rose, or Black Gold labels. OMRI-Listed products include Superior Peat Black Peat and Superior Peat Peat Moss. Product brochure claims that all products are acceptable for organic production. Includes several potting mixes, composted manure, sphagnum, vermiculite, perlite. Growth Media for Container Grown Ornamental Plants. Revised edition. Extension Bulletin 241. By Dewayne Ingram, Richard Henley, and Thomas Yeager. 1993 (reviewed 2003). 21 p. Published by the University of Florida, Gainesville, FL. This publication can be downloaded from the University of Florida IFAS Extension website. Not available in hardcopy except as single copies to Florida residents via Cooperative Extension. The Fruit, The Seed, and The Soil. John Innes Leaflets #1–9. By W.J.C. Lawrence. 1948. Published by the John Innes Horticultural Institution, Bayfordbury, Hertford, UK; printed by Oliver & Boyd, London. Order from Oliver & Boyd, 39A Welbeck Street, W.1, London, England. Growing 101 Herbs That Heal. 2000. By Tammi Hartung. Storey Books, Pownal, VT. 256 p. (Includes author’s favorite potting mix for starting herbs. Organic production.) Listed for $24.95. Available through most bookstores and online at www.amazon.com. The first recipe shown is a classic soil-based formula; the second is a soilless recipe based on the Cornell Mix concept. Note: This mix is heavier than modern peat mixes, but still has good drainage. 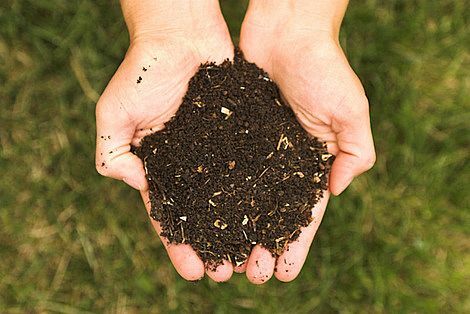 Compost promotes a healthy soil mix that can reduce root diseases. Vermiculite or perlite can be used instead of sand. Organic fertilizer can be added to this base. The following four recipes were found in the March–April 1989 issue of the Ozark Organic Growers Association Newsletter. The formulas are credited to the Farm and Garden Project at the University of California, Santa Cruz. 1 part peat moss, pre-wet and sifted. Note: All ingredients are sifted through a 1/4-inch screen. For every shovelful of peat, add two tablespoons of lime to offset the acidity. The following recipes are taken from John Jeavons’s How to Grow More Vegetables…, Ten Speed Press, Berkeley, CA. Note: the mixture should be placed in growing flats on top of a 1/8-inch layer of oak leaf mold to provide drainage. Crushed eggshells should be placed between the leaf mold and compost for calcium-loving plants like cabbages and carnations. The next three formulas are credited to the 1992 NOFA-NY Organic Farm Certification Standards. Note: all bulk ingredients should be sifted through a 1/2-inch screen. The following four recipes are credited to Eliot Coleman. The first was published in the Winter 1994 issue of NOFA-NJ Organic News, in an article by Emily Brown-Rosen. The remaining three are adapted from Coleman’s book The New Organic Grower (see Appendix 2). Mix all ingredients together thoroughly. Coleman does not sterilize potting soils; he believes that damp-off and similar seedling problems are the result of overwatering, lack of air movement, not enough sun, over-fertilization, and other cultural mistakes. Note: If greensand is unavailable, leave it out. Do not substitute a dried seaweed product in this mix. The next recipe and details come from John Greenier, of Stoughton, Wisconsin. They were published in the January 1996 issue of Growing for Market. Add peat to cement mixer or mixing barrel. Spread the lime and fertility mix over the peat. Add the compost and vermiculite and mix well again. When done, examine the distribution of vermiculite to ensure that it has been mixed in evenly. Note that all bulk ingredients should be screened through 1/4-inch hardware cloth. Well matured, manure-based compost should be used (avoid poultry manure and wood-chip bedding). The next two recipes were published in the September 1990 issue of Greenhouse Manager in an article entitled “Recipes for Success in Media Mixes,” by Kathy Z. Peppler. Note: The topsoil and peat are sterilized early in the fall, then brought indoors to be blended with the other ingredients and stored inside. Note: The handling of this pot mix is the same as for pack mix. The following recipes and instructions are from a workshop entitled “Getting Started in Organic Market Gardening,” which was offered as part of the March 2001 “Organic University” program sponsored by Midwest Organic and Sustainable Education Services (MOSES) in conjunction with its Upper Midwest Organic Conference. The first is credited to Tricia Bross Luna Circle Farm, Gays Mills, WI; the second is credited to Steve Pincus, Tipi Produce, Madison, WI. Screen the peat and the compost and combine with the fertility mix. Add the sphagnum, sand, and vermiculite. Note: This mix works well in small and medium plug trays and 1020 flats for growing lettuce, onions, leeks, peppers, tomatoes, melons, squash, cucumbers, and many flowers. When repotting small plugs into larger cells, add about 1/3 by volume of old leaf mold or compost and more fertilizing mixture. Continue to fertilize twice per week with soluble fish and seaweed fertilizer. The following three recipes are adapted from a subchapter entitled “Using compost for container crops and potting mixes” in On-Farm Composting Handbook, by Robert Rynk, (ed.). 1992. PublicationNRAES-54. Northeast Regional AgriculturalEngineering Service, Cornell Cooperative Extension,Ithaca, NY. 186 p.
The following two simple recipes came from Mark Feedman, a practitioner of the Biodynamic-French Intensive system. The first mix was used with great success while doing development work in the Dominican Republic; the second is an adaptation used later in New Mexico. The remaining recipes in this appendix are of uncertain origin, but were published in earlier versions of ATTRA’s Organic Potting Mixes. NCAT would like to acknowledge OMRI staff members Cindy Douglas, Brian Baker, and Emily Brown-Rosen for their assistance in reviewing the original draft of this publication.